As you grow closer to God you will, at times, feel many things. Some will encounter feelings of rejection by God. God never rejects us but the interior feelings of rejection can be real. This leads some to despair. If you find yourself, now or in the future, struggling with despair, do not be afraid and do not give in. Let God come to you in that experience and be present to you as you suffer through it (See Diary #23). Continue to look deep within your heart this day. What do you see? If it is painful to look inside, then know that this pain is a pathway toward God. It may not make sense and it may be hard, but God the Father chose the path of the Cross for the Son. 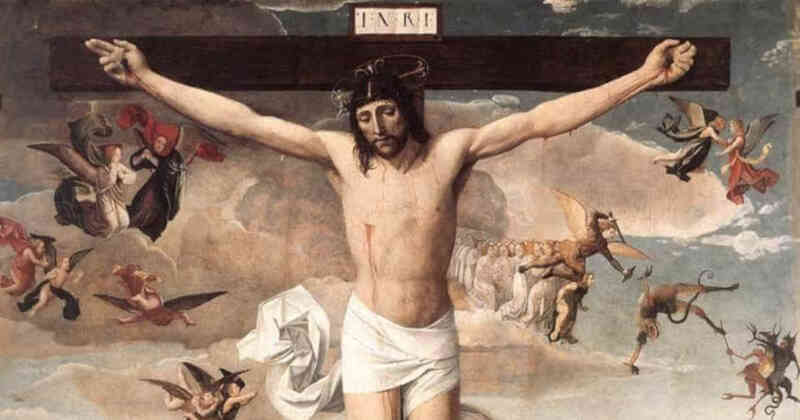 By embracing His Cross both exteriorly and interiorly, Jesus united all human nature to His Godhead. Let your suffering become a means of your holiness this day and a source of your unity with God. Lord, as I continue to look deep within at my heart, help me to see myself as You see me. Help me to sort out any pain and suffering I carry. And help me to freely unite that interior pain to Your Cross just as You did. In this act, help me to discover The Divine Mercy You won for the world. Jesus, I trust in You.